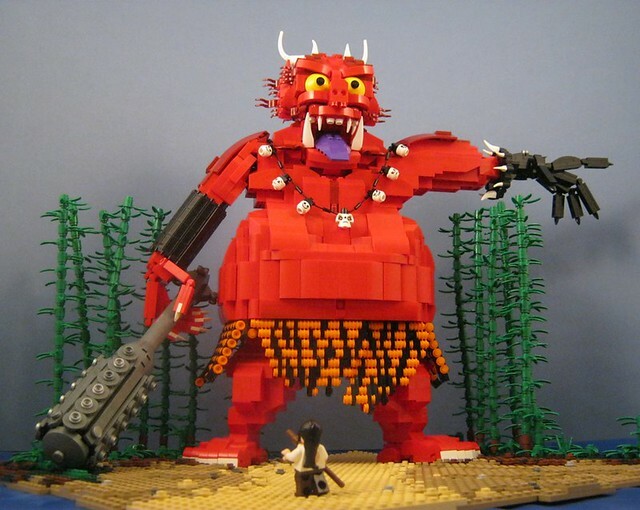 I don't know what mythical creature this MOC by Stuart Delahay is inspired by. Nor can I tell you the circumstances which led to this meeting. All I can say is I'm pretty sure the odds are stacked towards the big red guy, just sayin'.